Happy Thursday! Today, Six Flags Great Adventure in New Jersey has announced their Seventh Annual "Walk with Ronald" Charity Fundraiser event! 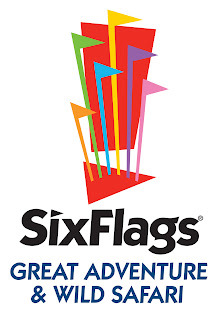 A day full of Six Flags fun (with some Special Guest Attendees in the mix) proves you CAN have fun and do the right thing! On May 5, 2013, a statewide fundraiser will be held benefiting Ronald McDonald Houses of New Jersey at the park. Registration starts at 8 A.M. and the event will start promptly at 9 A.M. on Main Street by the park gates. The walk will go until approximately 9:30 A.M. concluding in the Boardwalk Area of the park. If you raise $75 or more for the fundraiser ($50 for kids) you'll receive complimentary admission and a full day of fun occupies the rest of the exciting day! Select rides will be open after 9:30 for participants before official park opening. Keep your eyes peeled, because you might run into some celebrities during the event! Marvin Austin of the NY Giants and singer Gloria Gaynor will be present at the event, just adding to the excitement For more info and to pre-register, visit the Official Website. Make sure to "Like" TPO on Facebook for the latest updates and news! www.Facebook.com/ThemeParkOverload My name's Nicholous, and Thanks for Reading!